Somerset offers some brilliant fishing opportunities, whether you are interested in game fishing, coarse fishing or sea fishing – it’s all available here in Somerset. 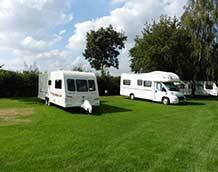 Our campsite offers a range of options with both hard-standing and level grass pitches, electric and non-electric for tents, caravans and motorhomes. 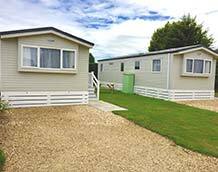 We also have two static caravan holiday homes and our Glamping pod available for booking. Close to the River Parrett, Southfork caravan and camping park is ideally situated to take advantage of the nearby coarse fisheries like Stoke Sub Hamdon and the Langport and district Angling Association, both of whom offer day licences to fish stretches of the River Parrett for Bream, Carp, Chub, Tench and Roach, if you don’t have space to bring all your equipment with you, we also have a rod which you can hire at a cost of £5.00 per day (returnable deposit of £50.00 required) and bait is available in the local pet shop at Martock. For more information on local fishing clubs in Somerset, visit the Get-Hooked website. Slightly further afield, although still within easy reach and great If you are more interested in game fishing, consider Chew Valley Lake for Brown Trout, Rainbow Trout and, on some days, Pike. Bank tickets can be bought on the day from the self service machines in the car parks. Chew Valley Lake is part of the Bristol Water Fisheries and is well serviced with a tackle shop, picnic areas and boats for hire. They also have a wheely boat available for hire, specially designed for wheelchair users (boats should be booked in advance). Wimbleball Lake on Exmoor also offers great opportunities for game fishing for Brown and Rainbow Trout, along with a whole range of other water sports if you are interested! There are good facilities with parking, toilets and showers available as well as a wheelyboat for wheelchair users. The lake park includes a range of family activities and play areas as well. Day and season tickets for fishing are available to book online - All this set within the scenery of beautiful the Exmoor National Park – well worth a visit if you are in the area. For sea fishing opportunities, our campsite is well placed to take advantage of the cost at both North Somerset and Dorset. Head to Minehead or Watchet on the North Somerset coast and hire a charter boat, complete with an experienced skipper for full day or shorter trips. Tuition, bait and tackle are often available as part of your trip. Bridport, Lyme Regis and Portland in Dorset also have a wide range of charter boats available for both large and smaller groups. 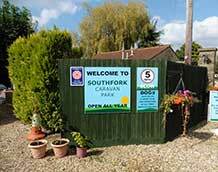 Last minute places for sea fishing are often available to book on the charterboats-uk website.